But what if your business doesn’t need international reach? What if you only want to target customers and potential customers in your local area? Maybe your customers are only in your town, city or local area, for example. Interestingly, recent studies show that an increasing number of searches, including on smartphones, are for local services. Your business should be one of them. 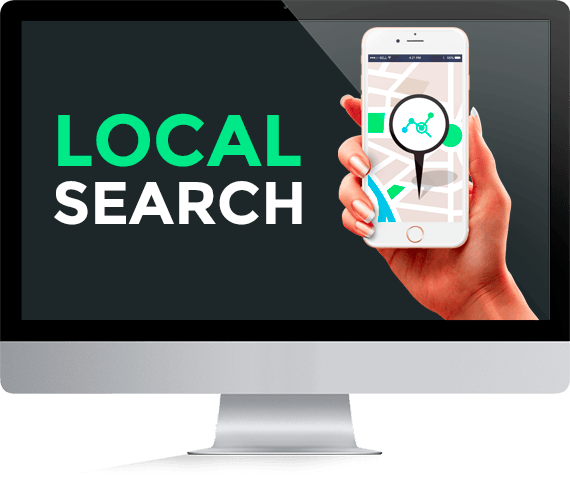 Enter the solution: Local SEO. The experts at Fast Online Marketing Experts will ask you where your customers are. Together we’ll discuss how best to engage your local customers and potential customers. Our creative and dedicated team will identify the keywords necessary to make this happen and get your business at the top of local searches. We’ll also make sure – yes, we know it sounds obvious but it can be overlooked – that the name, address and contact numbers for your business also appear. And here’s the other really important element of local SEO and searches: maps. Your customers need to know where you are and how to find you; there’s no point in having a wonderful product or service if your location is a mystery or hard to locate! We’ll make sure your business is correctly listed on Google Maps. With the listing, a customer will find your business, be shown your location on a user-friendly map and easily find your address and contact details including phone numbers. With Google Maps, customers will also have the option to look up directions for getting to your premises. In addition to the standard SEO services and the refinements and additions needed for local SEO, there is an additional factor that must be dealt with. Our passionate and results-driven staff members will also guard against duplicates or near-duplicates in directories and other sources of data. Why? Duplicates reduce your visibility and may even cause problems with search engine’s rules. We want to boost your business and make life easier for your clients and we have all the tools to make that happen. Call us on 020 3912 1199 and let’s discuss your needs, solutions and then design your local SEO campaign.